Dante shows Anna the flash drive. They discuss whether the confession is admissible or not, since Sonny didn&apos;t know he was being filmed. Anna suggests they get a warrant. Scotty arrives, gloating he has Sonny where he wants him. Scotty says he&apos;ll be doing this by the book. He&apos;s charging everyone who helped Sonny cover it up, including Carly and Duke. Ava opens the door and finds Sonny. He accuses her of shooting Max. Ava tells him she gave birth. Sonny finally takes in the condition of the room. Ava explains about Nina and that the baby is in danger. Sonny pulls a gun and tells her he&apos;ll find the baby, but Ava won&apos;t be in her life. Kiki explains to Morgan what happened at the wedding. Michael knows what Sonny did and how Carly covered it up. Morgan tells Kiki Ava lied. She&apos;s the one who killed Connie. Kiki doesn&apos;t believe it. Morgan says Sonny has a recording of Ava&apos;s confession. Kiki realizes Morgan told Sonny where Ava was hiding. Morgan tries to justify his actions. Kiki says he signed her mother&apos;s death warrant. Morgan assures her Sonny won&apos;t do anything until the baby is born. Felicia celebrates the possibility of her mayoral win, while Duke worries about his relationship with Anna. Lucy arrives and tells them about the non-wedding. Bobbie is worried about Carly being charged as an accessory. She explains the rest of the recording. 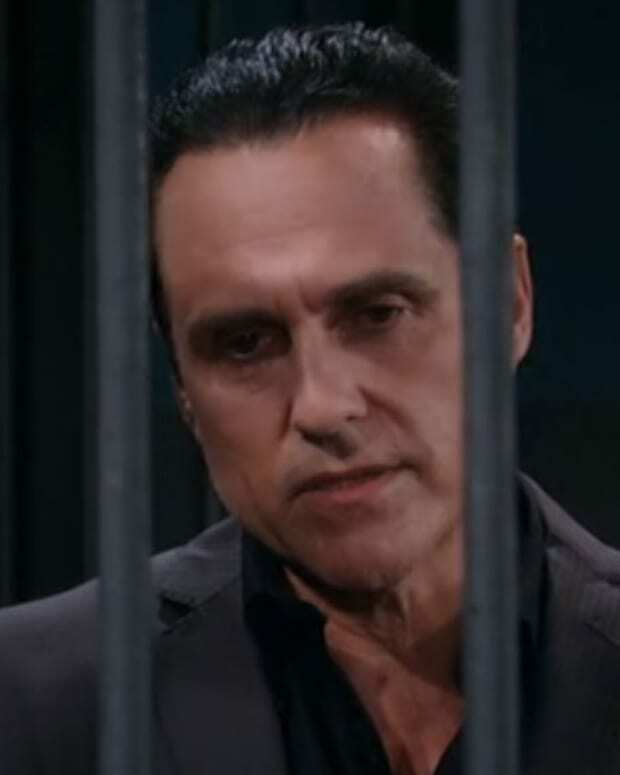 Duke is quick to deny Sonny would kill AJ. He tries to call Sonny to warn him, but the others tell him he needs to distance himself from Sonny. Heather wants to kill Carly on the docks. Franco decides to take her to the warehouse with Shawn and Jordan. Franco is annoyed with his mother when he sees they aren&apos;t dead. Franco explains to Carly how Sonny planned on killing him and having Heather take the fall. Franco takes the gun from Heather and decides she&apos;ll die with the rest of them. Heather is shocked. Franco blames both her and Carly for all his life&apos;s woes. Shawn makes a move, but Franco shoots the ground as a warning. He leaves them all locked up. Anna decides to find Duke. She tells Dante to warn Michael. Anna finds Duke at the bar. Scotty gives Dante a warrant for Sonny&apos;s arrest. Ava begs for her life. 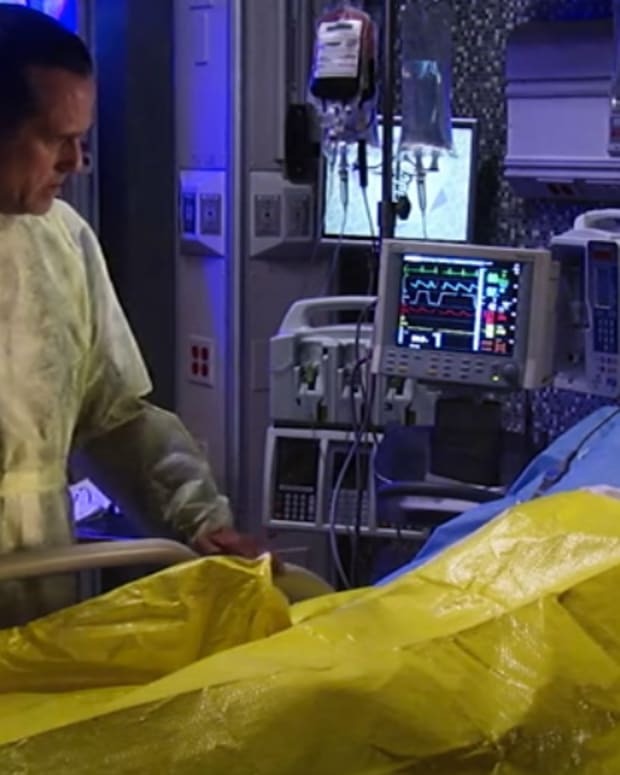 Sonny is determined to avenge Connie&apos;s death. He promises her daughter will want for nothing — except of course, a mother and a sane, non-violent family. A shot rings out. Both Ava and Sonny are surprised it isn&apos;t from his gun. Sonny turns to find Michael wielding a gun.